'This is proper history. It is illuminating to pick up this book with the twenty-first century's crises of Brexit and Iraq in mind.' Jeremy Bowen (BBC correspondent, and author of Six Days). Over sixteen extraordinary days in October and November 1956, the twin crises of Suez and Hungary pushed the world to the brink of a nuclear conflict and what many at the time were calling World War III. 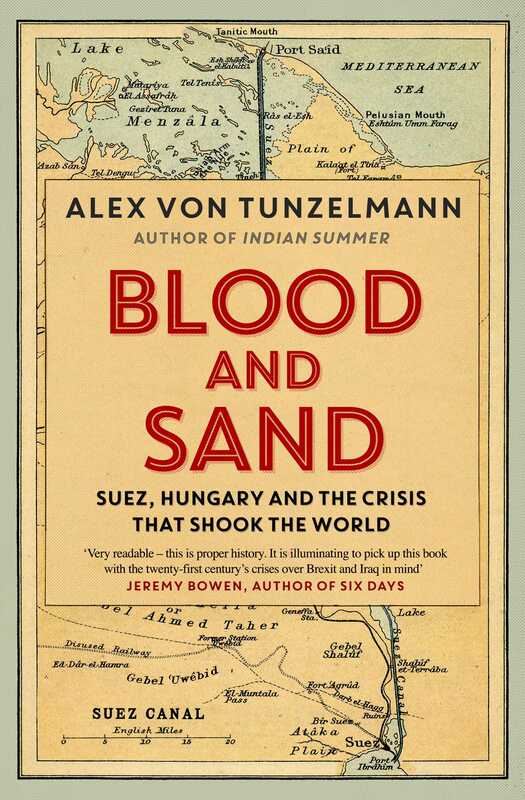 Blood and Sand is a revelatory new history of these dramatic events, for the first time setting both crises in the context of the Arab–Israeli conflict, and the treacherous power politics of imperialism and oil. Blood and Sandtells this story hour by hour, with a fascinating cast of characters including Gamal Abdel Nasser, Anthony Eden, Dwight D. Eisenhower, Nikita Khrushchev, Christian Pineau, Imre Nagy and David Ben-Gurion. It is a tale of conspiracy and revolutions, spies and terrorists, kidnappings and assassination plots, the fall of the British Empire and the rise of American hegemony. Blood and Sand is essential to our understanding of the modern Middle East and resonates powerfully with the problems of oil control, religious fundamentalism and international unity that face the world today.